Amidst growing liberalization, competition, and changing passenger expectations guided by the rise of digital technologies, global rail companies and OEMs must have a clear view of the opportunities, threats, and challenges that lie ahead in their industry. 2018 turned out to be a good year for the rail industry—a 2.7% growth rate was projected at the start of the year for freight-rail traffic. But the actual volume toward the end of the year stood at 2.9% with almost all segments showing improvement. The impending mega-merger between Siemens and Alstom is expected to come through in H1 of 2019 (pending regulatory approvals) to forge a formidable defense against the Chinese rival CRRC. The buzz on the convergence technologies and the benefits of digitalization has been on the rise in the industry for the last 5 years. While the adoption rate and scale of these technologies can be far better, there has however, been an increasing emphasis to improve reliability, availability and passenger connectivity to ensure maintenance and operational costs are optimized. Consolidation continues to be the dominant tactic in the industry. Setting aside the merger of the behemoths Siemens and Alstom, 2018 also saw few other major developments. Japanese multinational Hitachi that already owned 50.77% interest in Italian rail transportation service provider Ansaldo STS purchased an additional 31.79% of its share capital taking the aggregate stake up to 82.56% in November 2018. Wabtec Corporation signed an agreement to combine its operations with GE Transportation. Finland-based Transtech manufacturing double-deck carriages, low-floor trams, vehicle transport carriages, and electrical units sold its 25% stake to Skoda Transportation Group. The increasing rate and scale of such deals indicate that the rail industry is set for more consolidation. In the fragmented industry, companies have realized that their general business interests and innovation in the industry can be more successfully promoted if they are more vertically or horizontally integrated in their supply chains. For e.g. standardization and harmonization of asset platforms, supply chain optimizations and wider global footprint are few of the critical drivers leading to such exercises. The rail industry is often one of the critical backbones of the economic framework of countries, therefore leading to increasing interference from regulatory bodies and competition commissions in fructification of such deals. Digitalization has emerged as the key driver for innovation in the railways. It provides significant opportunities to streamline operations, improve reliability of assets and enhance passenger (or customer in case of freight) experience while reducing costs. It is being used to derive real-time information on rail movements and is an enabler of predictive maintenance for fixed assets and rolling stock. IoT driven asset management technique is now leading up to the possibility of creating Digital Twins of critical assets to replicate real-time performance of a live asset and thereby draw useful and powerful insights on asset performance and its design effectiveness. Augmented and Virtual Reality (AR/VR) techniques that are already enhancing training sessions for rail personnel can also help to unlock the value associated in remote asset management routines , thus reducing the dependency on physical availability of subject matter experts while training, fault isolation and fault resolution exercises. The adoption trend of such technologies has been slow but has been on the rise and we hope that 2019 will be better than its yesteryears. The emphasis on smart trains and connected railways at reduced costs demonstrate that the adoption rate of these digitalization techniques will be on the rise for 2019 and beyond. For example, a report by Cisco suggests that around $30 billion will be spent in the next 12 years in IoT projects in the rail sector. The potential applications range from advanced passenger information systems to insights on better manufacturing procedures to preventive maintenance and real-time incident alarms. Demand for advanced analytics, machine learning, simulation related services shall be on the rise to support the adoption trend above. The flipside of digitalization for railways is the associated risks and exposure to vulnerabilities that emerge while bridging the legacy ecosystem with new technologies. As the boundaries between different segments of railways continue to thin with the presence of increased digital tools on the rail network, the threat landscape is expanding. Rail companies must comprehensively assess all the components of the digital infrastructure on which the network relies and operates on. They will need to partner with the right blend of rail domain and cyber security experts for solutions to identify and to thwart the hacking attempts before they imperil passenger safety and rail assets. Security protocols will also have to be frequently updated to stay two steps ahead of the malicious attacks that are becoming increasingly sophisticated. The narrative on the need for robust cyber security guidelines for the rail industry has been emerging over the last 24 months and will be on the forefront in 2019 and the years to come thus driving the industry from the principles of safe by design to those of safe and secure by design. The high population and increasing urbanization in the Asia Pacific (APAC) region have led to a growth in the demand for expansion and upgrade of their existing rail infrastructure. The railways, at present, is the third largest travel segment in the region and recorded the highest growth in online travel bookings for 2017. Global rail companies must observe that the governments in APAC countries are actively making big budget investments in their railway infrastructure planned for the next 20 years. Among the recent developments, there are plans of connecting Kunming-Singapore railway with China, and also a proposal for a high-speed rail link between Singapore and Kuala Lumpur. It is estimated that the rail network in Singapore will double in length by 2030. China approved a total budget of $15.7 billion for urban railway projects in the capital of the northern Jilin province. Metro and urban transit systems are now the center piece of the transport solutions in the emerging economies. 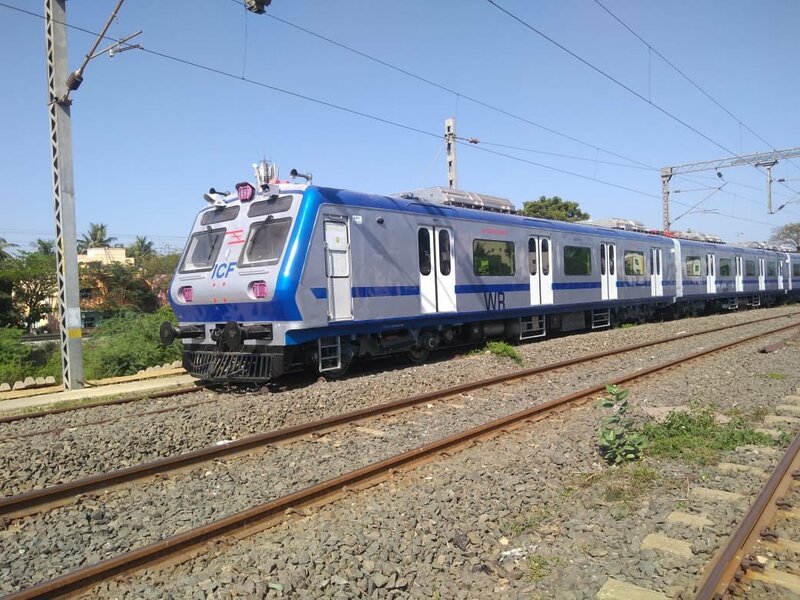 In India, there is an increased emphasis on metro rail connectivity with the finance ministry approving projects worth Rs 1.07 lakh crore for cities across northern and central states. With such opportunities, rolling stock manufacturing companies, OEMs, and technical expertise service providers will focus harder on these regions in the coming years. Although the legal position of UK in the European Union has not yet changed and there is uncertainty on terms that will govern this exit, there could be critical impacts on its economy once the country formally leaves the EU. Railways that generated passenger revenue of £8.8 billion in 2014-15 owed a large part of this amount to the immigrants and tourists who came to the UK from EU. The growth in number of travelers had led to higher investment in commuter rails, metros and high-speed lines. With restrictions on immigration and free movement of European tourists, revenue generation may take a hit. The impacts of a final Brexit may also be manifested in train franchise competitions and the policy of separating operations from infrastructure. Paucity of skills is a critical driver for globalization of the rail industry. There are concerns on the ease of transfer and mobility of skills between EU and UK to drive realization of the massive infrastructure projects planned in UK. Furthermore, if the value of the GBP continues to depreciate the products supplied by manufacturers who accept payments in Euros are likely to become more expensive for UK rail companies. As we look forward to 2019 for the rail industry, the impetus towards supply chain consolidation, adoption of digital technologies, and enhanced passenger experience is evident. For sustainable growth, the improvements in the performance of rail-based transportation will also be accompanied by efforts towards de carbonization and environmental protection – thanks to smart propulsion techniques and lighter car body frames being developed by the industry.